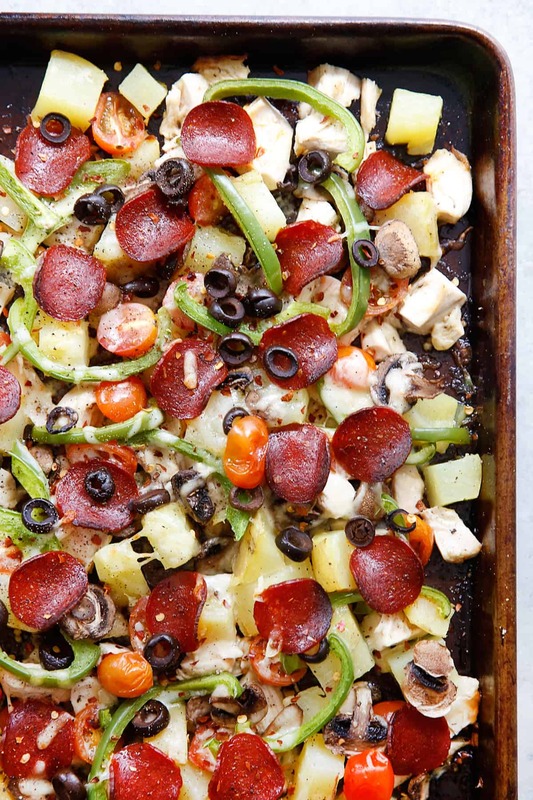 This simple chicken sheet pan dinner is packed with veggies and flavored to taste like pizza for a unique weeknight dinner! 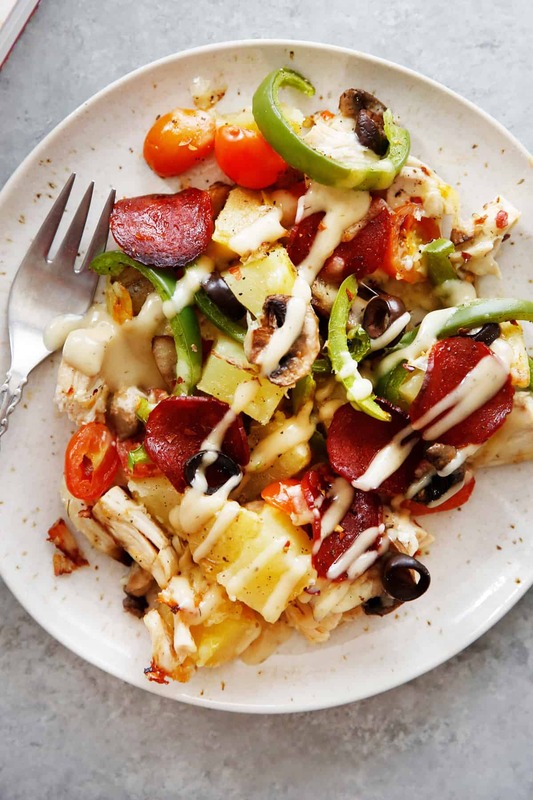 It’s easily customizable to add your favorite “pizza” toppings, is gluten-free and easily made low-carb for a meal everyone can enjoy. 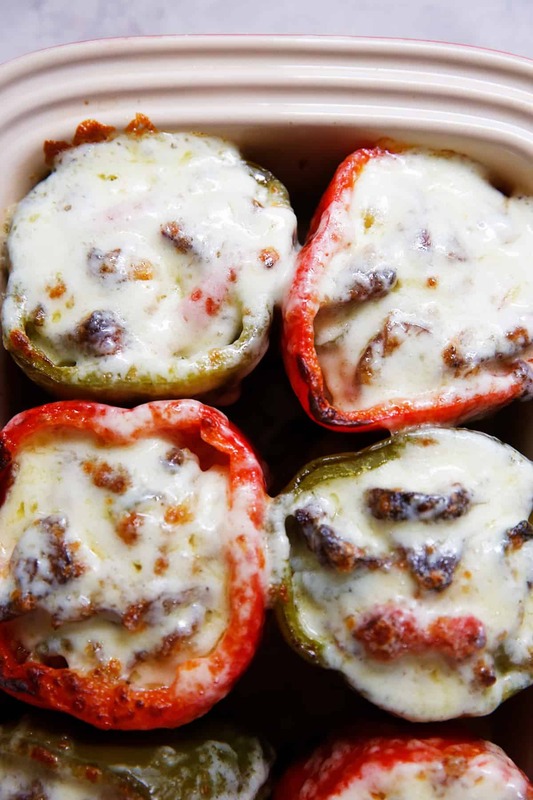 This recipe comes to us today from the new book by Cassy Joy Garcia, “Cook Once, Eat All Week”! This sheet pan chicken dinner is just SO FUN! It’s coming to us today from “Cook Once, Eat All Week”, Cassy Joy Garcia’s newest book. When we were flipping through the pages trying to decide which recipe to share (this was hard, because they all looked so good!) we were instantly in love with how unique this sheet pan dinner recipe sounded! It basically has all the flavor and fun of pizza, but made hearty and healthy using protein and veggies! And of course, like so many sheet pan dinners, it’s so easy to throw together! 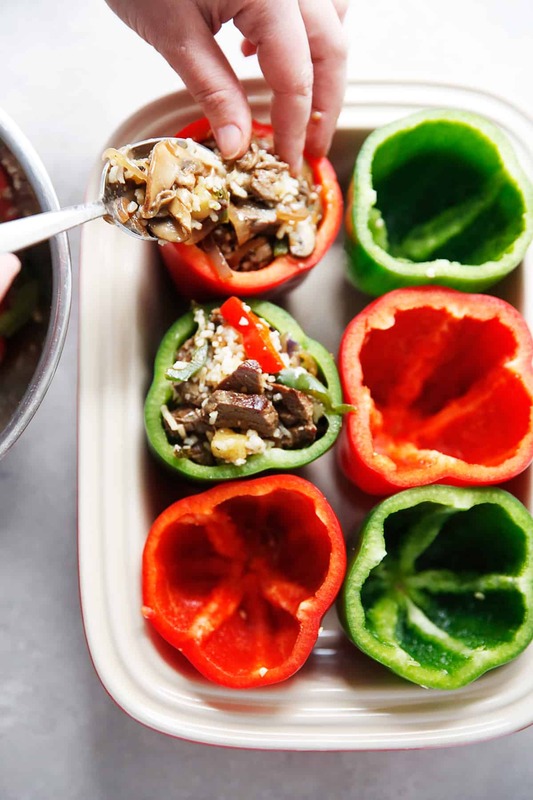 Her book is all about meal prep made easy (see below for more about this) so we made a few minor modifications from her recipe so it could be made as a stand alone dish. We’re sure you’re going to love this dinner so much you’ll definitely want to grab a copy of her book now to see how she guides you on how to make meal prep easy. I’ve known Cassy for around 4+ years now, and she instantly became one of my closest friends right when I met her. Nothing makes me happier than meeting an Internet/blog friend who becomes an in-real-life best friend! We go to conferences together, we go on girl trips, and she even introduced me to Beautycounter! She is just the best. Let me tell you about Cassy: She is genuine, beyond kind, and SO hard working. So, when she told me about her new book concept I had no doubt it would be an amazing resource, but when I opened it, I was BLOWN AWAY. Ya’ll, this book is amazing. 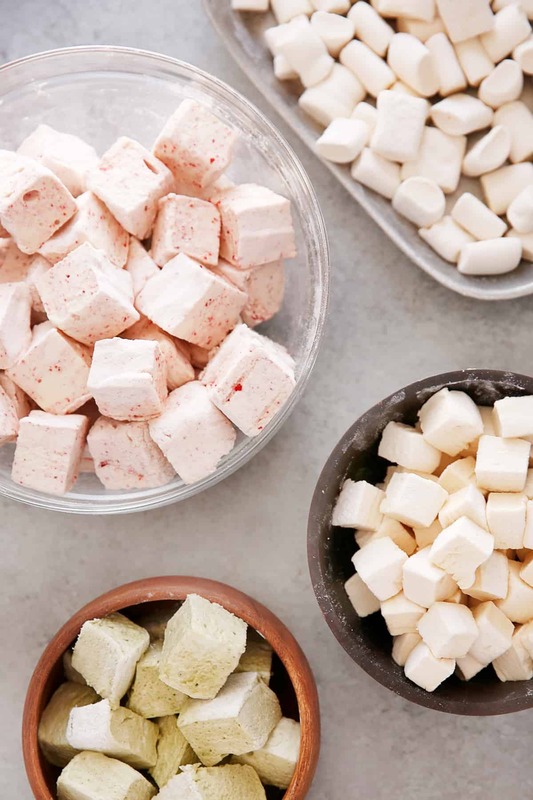 It reinvents meal prepping and combines it with batch cooking in a way that makes your weekly meals fun and exciting, without spending the entire day in the kitchen over the weekend! This is one of those books that anyone looking for a REAL solution to help them eat healthy and delicious meals, while also wanting to save time and money, needs in their kitchen! Here’s the premise of Cook Once, Eat All Week: You have a prep day to get all your main ingredients ready to go – a protein, veggie and a starch – then you can make 3 (or more, depending on your needs) different meals throughout the week with those prepped main ingredients. The book gives you 26 weeks of recipes: 123 recipes, sauces, and spice blends. Each week will look a little different! There’s also a chapter full of bonus 20-minute meals. 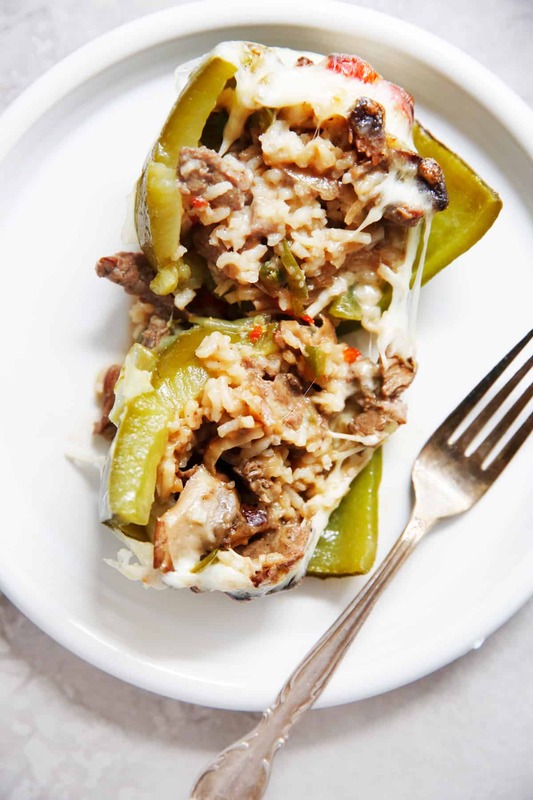 Optional Instant Pot and slow cooker instructions are included to save even more time! 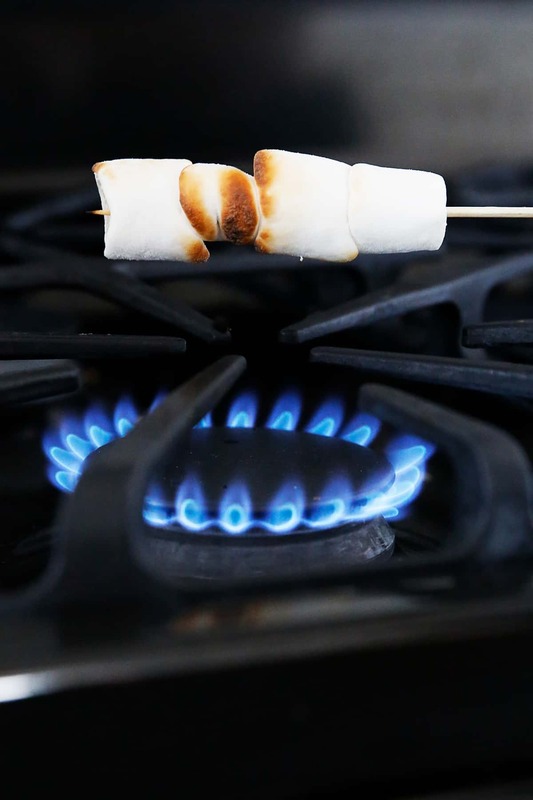 Meal storage and reheating tips. Supports diets including: gluten-free, dairy-free, Paleo, low carb, egg-free, kid-friendly and more. 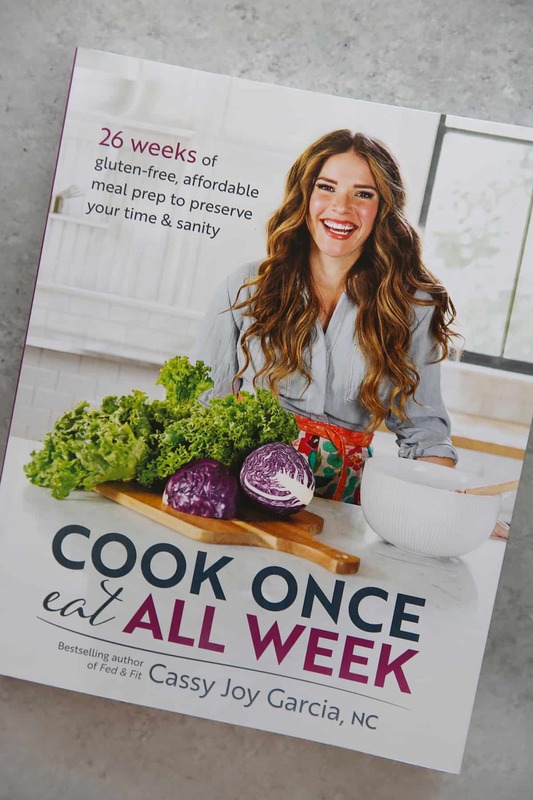 Grab a copy of Cook Once, Eat All Week here! Optional: We love serving this with a side of warm marinara sauce! Toss the turkey with the ranch dressing, then spread the turkey on the lined baking sheet. Cut the tomatoes in half and sprinkle them on top of the turkey. Follow with the cauliflower (or potatoes) and then the cheese. Season the entire sheet pan with salt and pepper. Layer the pepperoni, mushrooms, black olives, and bell pepper on top of the cheese. Bake for 20 minutes, until the toppings are browned and the cheese is bubbly and the cauliflower is cooked through. 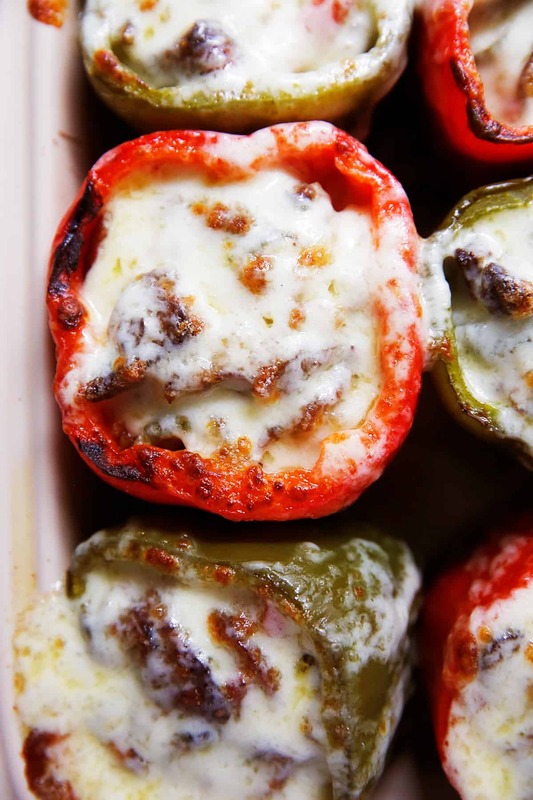 Garnish with the red pepper flakes, additional ranch dressing (if desired) and serve! Garcia, which is a meal prep book. This recipe is intended to be cooked after a meal prep day, but we've adapted it slightly to be used as a solo stand alone recipe. This recipe is reprinted with permission. In "Cook Once, Eat All Week" Cassy uses cubed turkey breasts instead of chicken for this meal, but we felt it easier to use chicken if you haven't completed the whole meal prep as her book indicates. We substituted the option to use cauliflower florets to keep it low carb, and because most people don't have cooked potatoes. Make sure to cut the cauliflower florets on the smaller side, around 1", so they cook in the indicated amount of time. But feel free to opt for the original use of cubed potatoes if you have them. This nut-based Gluten Free Pie Crust is buttery and so delicious! It uses almond flour and tapioca flour and it is great for both savory and sweet pies and is so easy to work with. It’s gluten and grain free, with option for a dairy-free alternative. 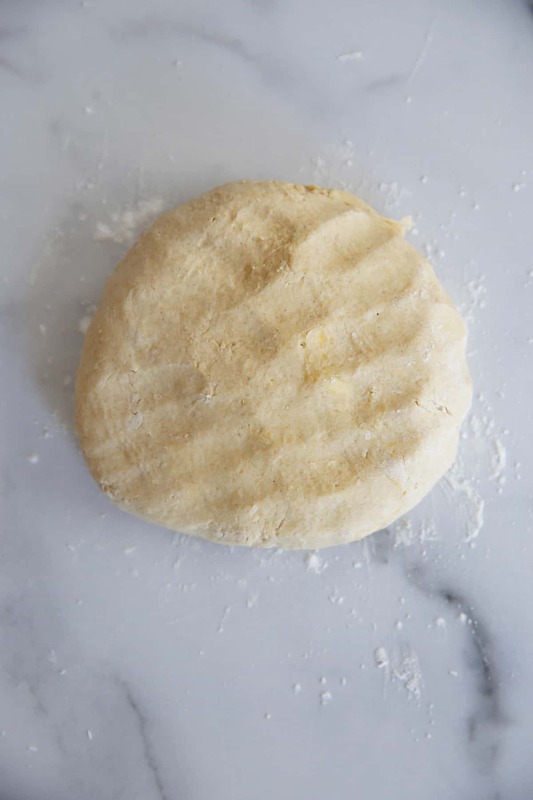 This gluten free and grain free pie crust has been on the Lexi’s Clean Kitchen website (and book) for some length of time, but we’ve never taken it out of the various recipes and singularly focused on how to make it, and shared all the tips we can in one spot. So we’re doing that now to talk all about how to make this buttery and delicious crust! It uses our trusted blend of almond flour and tapioca flour and it’s made quickly in the food processor. 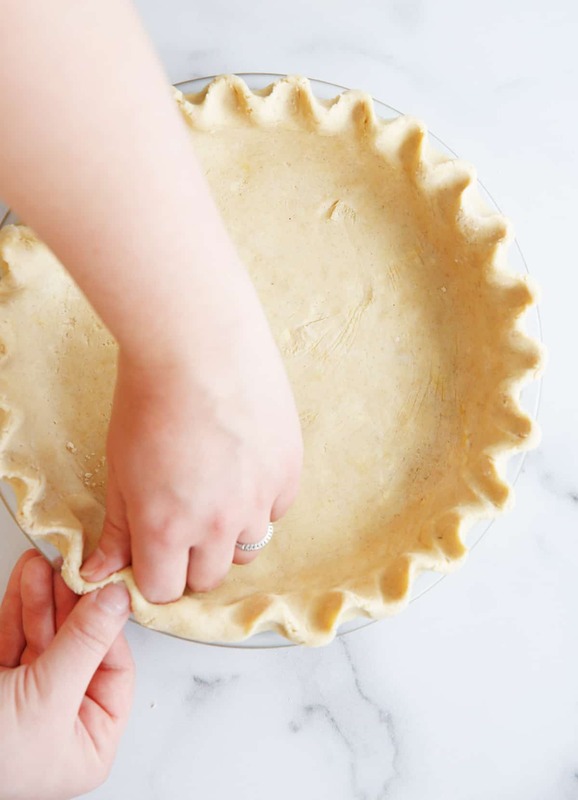 It can be used in sweet pie recipes, such as Apple Pie, or savory recipes such as Spring Vegetable Quiche or other fun projects like Pop Tarts or Hand Pies! Get all of the ingredients prepared before you begin: Measure out the dry ingredients, cut the butter and make sure it is chilled and crack the egg with the honey in a bowl. 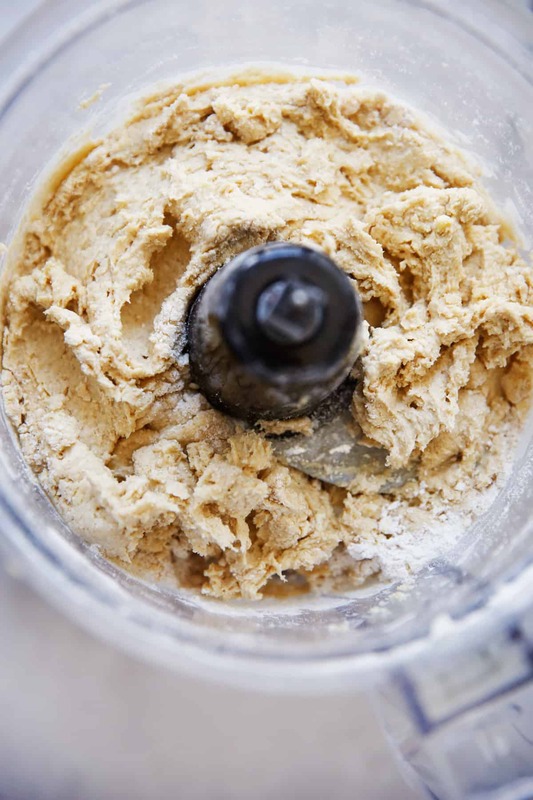 Don’t over-process the dough: Once it has come together stop running the food processor. Wrap it up! Wrap the dough tightly in plastic wrap, either in 1 or 2 disks, depending on if you are making a double batch. Let it chill! The longer this dough chills, the better. It’s best to let it sit overnight, but at a minimum it needs 4 hours. Make sure your dough is thoroughly chilled first: this is the best tip we can offer! This dough is hard to work with when it is warm. To roll it out we suggest using plastic wrap. Place a piece of plastic wrap down, then place the dough on top, then place another piece of plastic wrap and roll out between the two. We don’t normally tend to suggest using plastic for anything, but with this dough it really works out better on plastic vs. parchment. If you don’t own plastic wrap (we don’t blame you!) parchment paper can work too. Wax paper might work as well, but we did not test that. 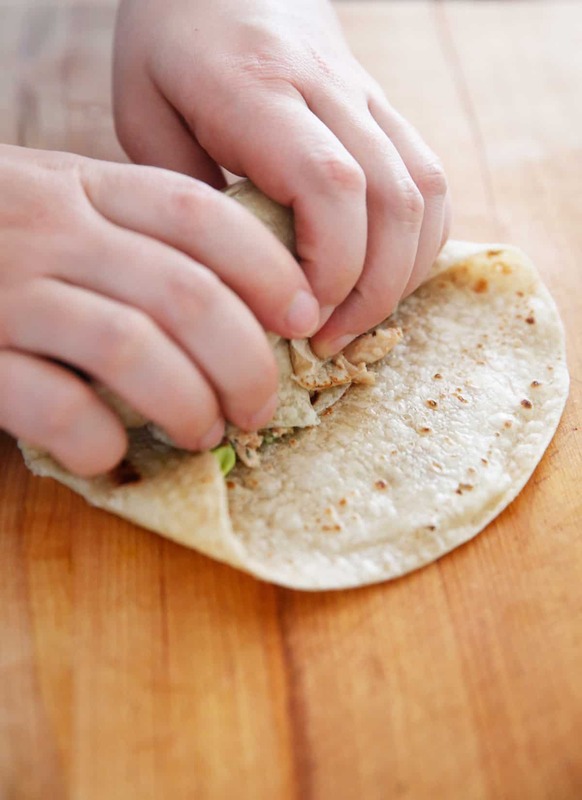 Work quickly when rolling, or working with the dough. If it warms up and becomes hard to work with just place it in the refrigerator to cool back down and then begin again. This is especially true in the summer if your home is hot. If you are making a standard 9″ pie, roll the dough out into an 11″ circle. Then take off the top piece of plastic or parchment, place the pie tin on top of the dough and invert the rolled dough into the dish. Then you can crimp the crust if you desire. Par-baking a pie crust means that you will partially or fully bake the pie crust before placing in the filling. 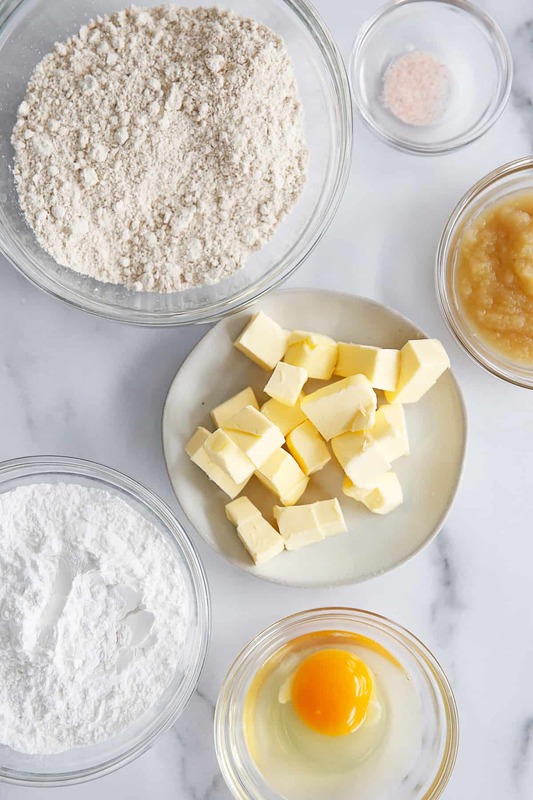 Each recipe you use for the filling will indicate whether or not you need to par-bake the filling, but typically if the pie filling is going to be cooked for long periods of time (like fruit fillings) you do not need to parbake. But if you are making a pie such as a custard or even a no bake filling you’ll want to partially to fully bake the pie crust. 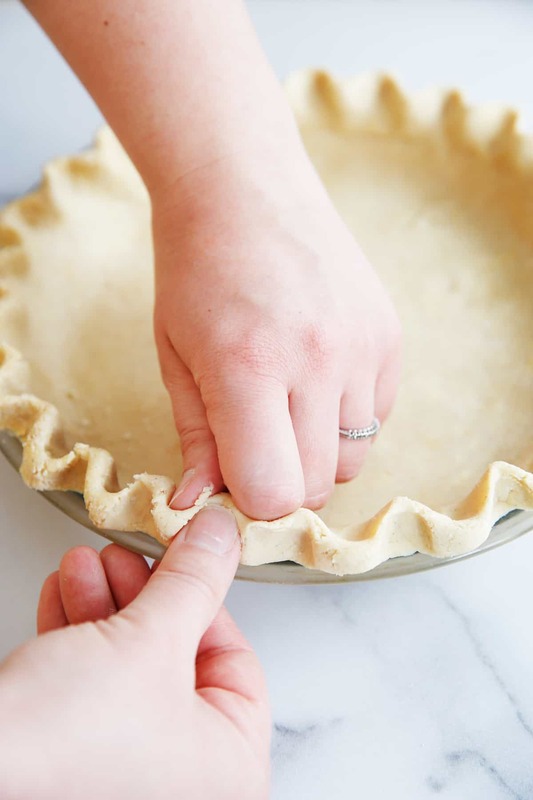 We don’t recommend baking this pie crust at a temperature higher than 350ºF so if you are using this pie crust in place of a regular wheat crust in another pie recipe you might have to adjust the temperature so this crust doesn’t burn. Can you make this dough ahead of time? Yes, the dough can be made up to 5 days ahead of time. Wrap it tightly in plastic wrap twice. We do not recommend freezing this dough. 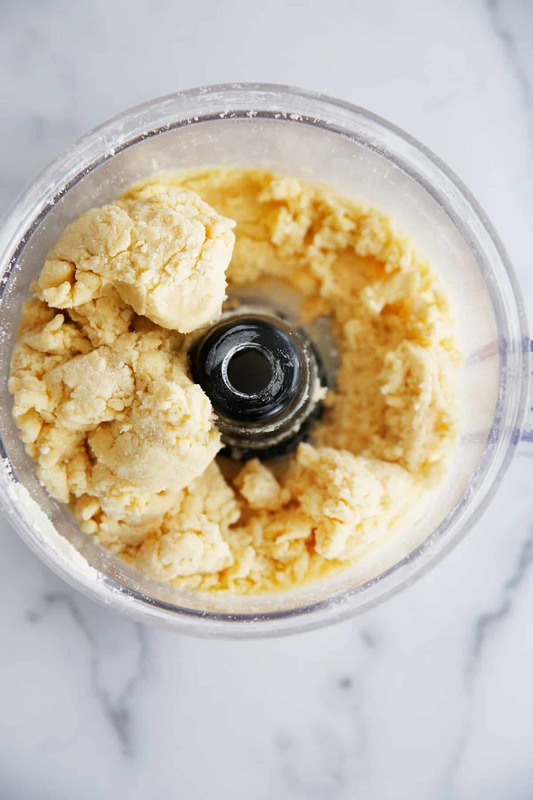 In a food processor combine almond flour, tapioca flour, salt and cold butter and pulse until the butter is broken down into pea-sized pieces. Add in egg and honey and process until the dough comes together. 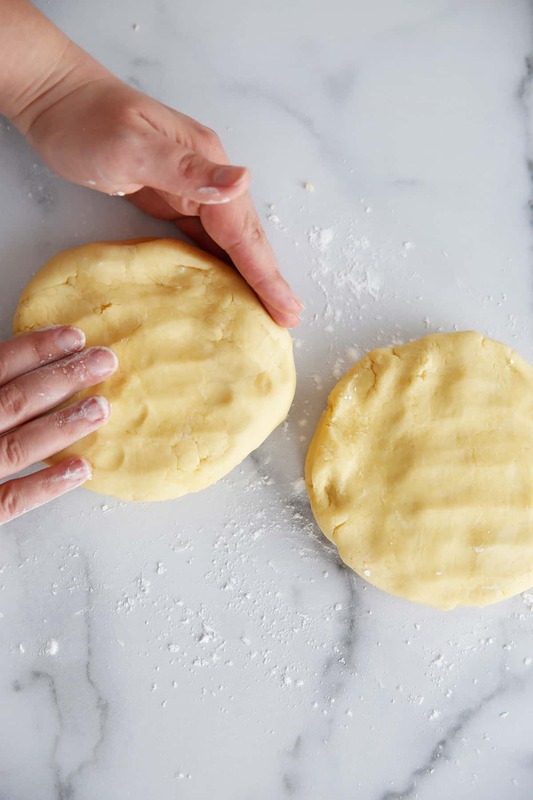 Shape dough into one or two round disks (depending on if you are making a double crust), wrap tightly in plastic wrap and transfer to refrigerator until cold, at least 4 hours or overnight. 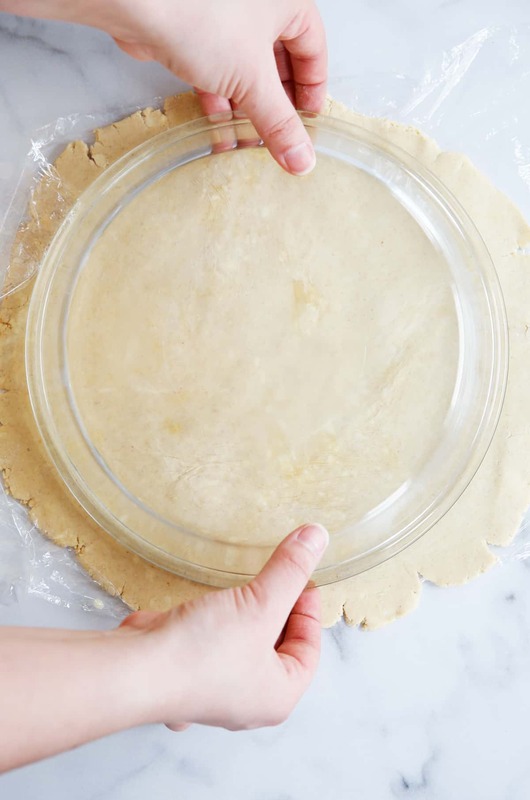 Between two sheets of parchment or plastic wrap, roll out dough to fit the size of a 9 inch pie tin, about a 12 inch circle. 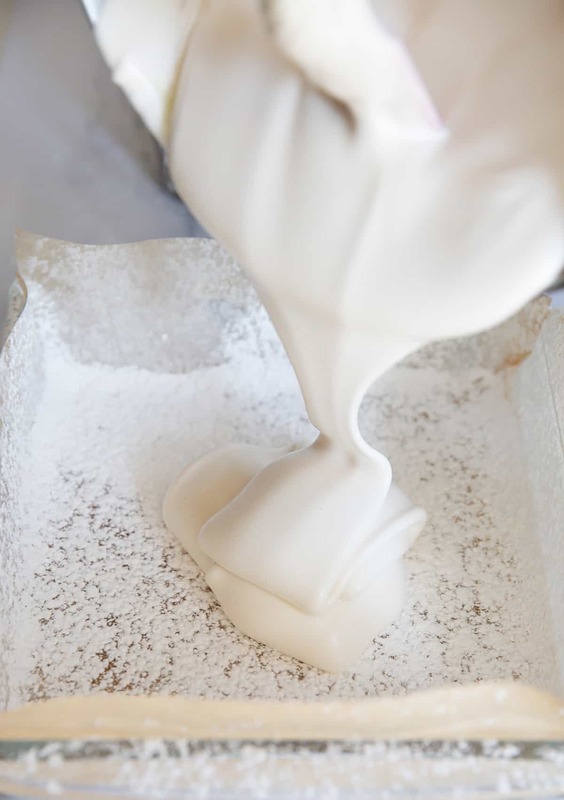 Removing one sheet of parchment and invert the pie dough into your tin. If you are making a double crust, roll out the remaining dough disk to an 11" circle. If you are making a lattice, cut the dough into 8 or 10 strips (depending on your lattice ability!) and weave the lattice on a sheet of parchment. If at any point the dough feels difficult to work with, place in the refrigerator until the butter is chilled. Bake pie as directed per chosen recipe. This Oat Flour Pie Crust is gluten-free and nut-free and so easy to work with! 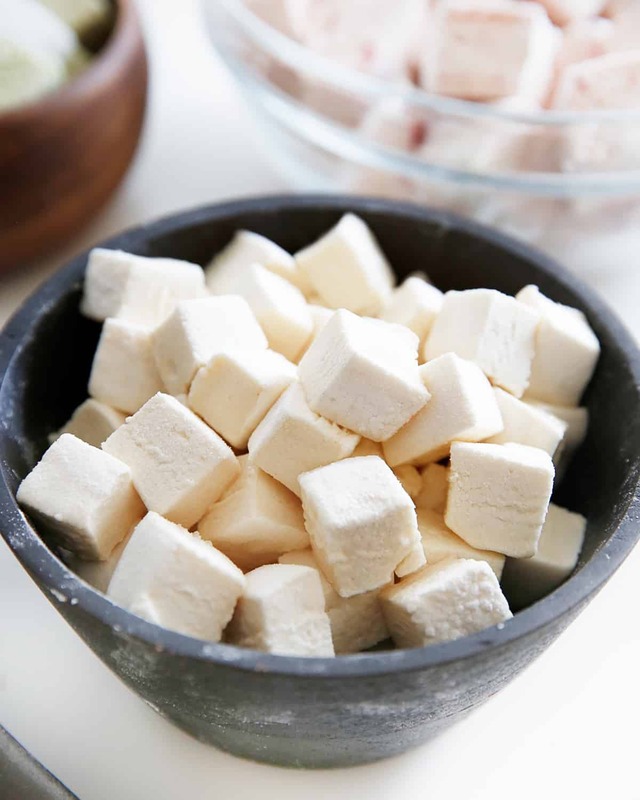 It uses oat and tapioca flour and doesn’t need to be chilled! It’s great for both savory and sweet pies and is so easy to work with. This oat flour based crust is for all of those people out there who can’t tolerate gluten OR nuts but still want to be able to make (and eat) a delicious pastry crust, and that’s easy to boot! And truly, this dough is SO EASY. 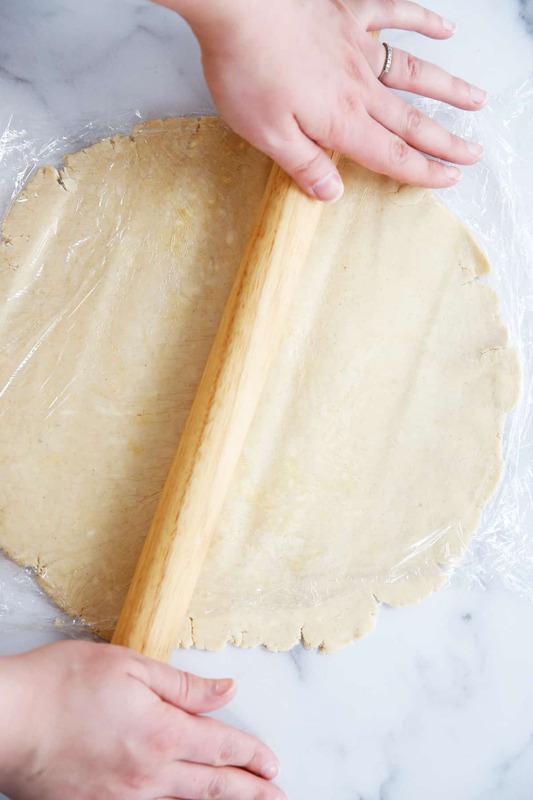 Unlike other crusts that need chilling time, this dough comes together in a food processor in a few minutes and can be rolled out immediately! We’ve discovered that oat flour is a bit difficult to measure out properly in the cup measurement because sometimes it is more densely packed in the bag than others. If you have an electronic kitchen scale at home, it’s best to use it here to measure oat flour. So we’ve included the weight in grams in the recipe. Any electronic kitchen scale can switch between grams and ounces, and grams are more precise so we’re offering that. If you don’t have a scale: lightly packing the oat flour into the cup measurement gets you as close to the correct measurement as possible. As we’ve said in previous oat flour recipes, we recommend you buy premade oat flour. It isn’t expensive and easy to purchase in stores these days. 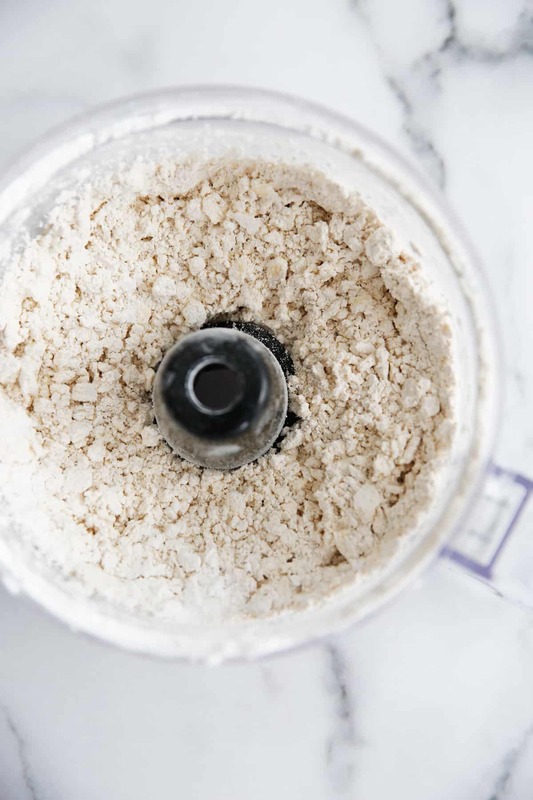 It’s harder to get homemade oat flour to be as consistent as store-bought and feel the final result is effected by it. However, if you want to make your own oat flour, you certainly can. We just recommend you try to get it as fine as possible. 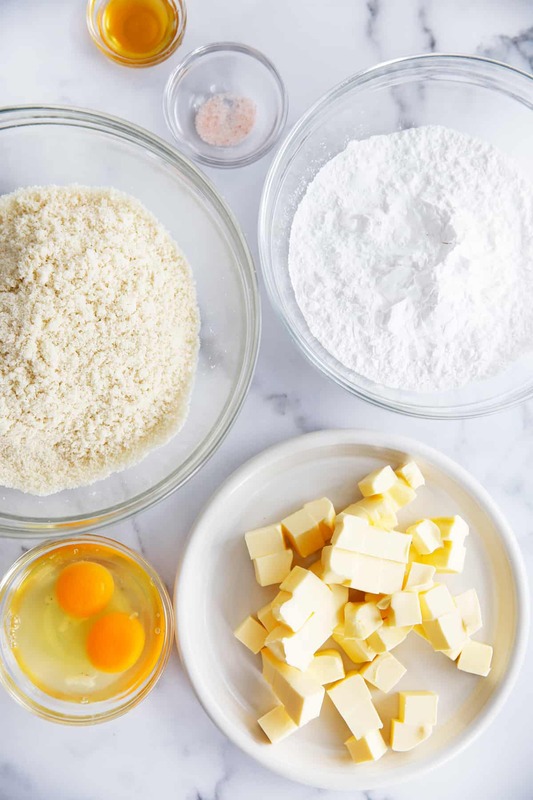 Get all of the ingredients prepared before you begin: Measure the flour, mix together the wet ingredients and cut the butter and make sure it is chilled. If the dough looks too wet (reference the picture of the dough in the food processor) it’s likely the oat flour hasn’t been measured properly. Add a tablespoon of oat flour at a time until a shaggy dough forms. If you aren’t rolling out the dough right away form the dough into a disk and tightly wrap in plastic. Place in the refrigerator for up to two days. 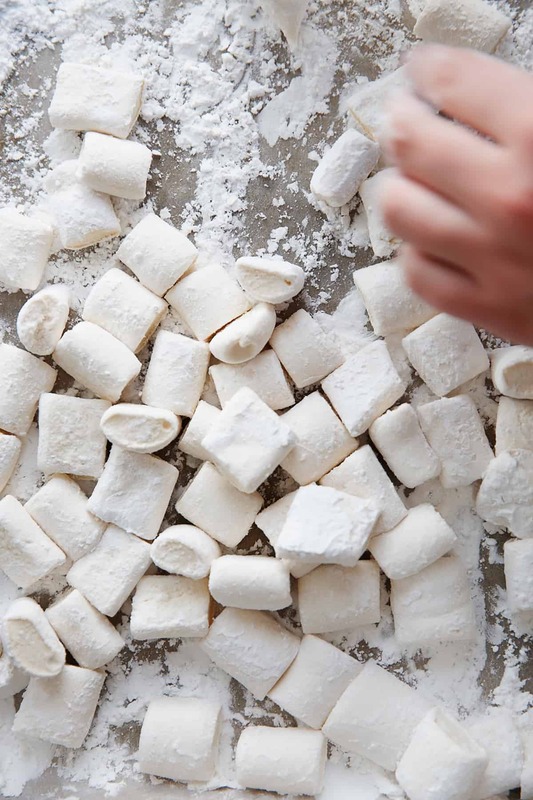 If you are working with cold dough made previously, let it warm up a tiny bit before rolling (about 5-10 minutes depending on how warm your kitchen is). Once the dough is rolled out, invert into the pie pan right way and parbake the crust to ensure no soggy bottoms! Once you have par-baked the pie you MUST bake it with the filling immediately after. If you wait in between par-baking and filling the shell there is a chance the crust can crack a bit. It’s not the end of the world if it does, as the pie will still bake up alright, but it’s an easy mistake to avoid by making sure you par-bake the crust and bake the filling together without waiting in between those two steps. In a food processor combine oat flour, tapioca flour, salt, and cold butter and pulse until the butter is broken down into pea-sized pieces. In a small bowl whisk egg, apple sauce and maple syrup together. With the food processor running, add egg mixture and process until it just comes together to form a shaggy dough. Place dough on a large piece of plastic wrap and top with another piece of plastic wrap. Roll out into a 12" circle and take off the top piece of plastic. Invert into a 9" pie pan and crimp the edges. 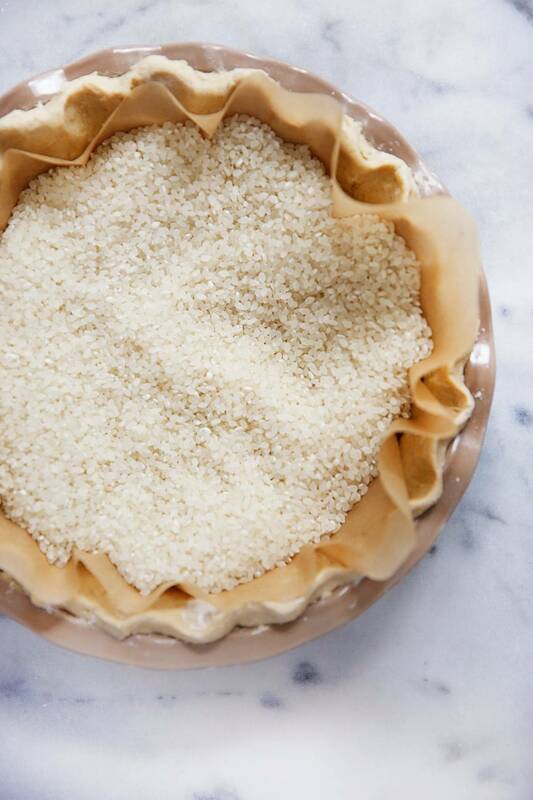 Place a piece of parchment inside the crust and fill with pie weights (or dried beans or rice) and bake in a pre-heated 350ºF oven for 10 minutes. When done, remove parchment and bake the pie per the filling instructions. Make sure to read over the posts for tips and tricks on how to make this oat flour crust. The instructions for this oat flour crust are intended for a single crust pie, but you can feel free to double this recipe in use it for a double crust, or you can use it in other recipes calling for pie dough, like this Gluten Free Pigs in a Blanket (Nut-Free, too!) recipe. 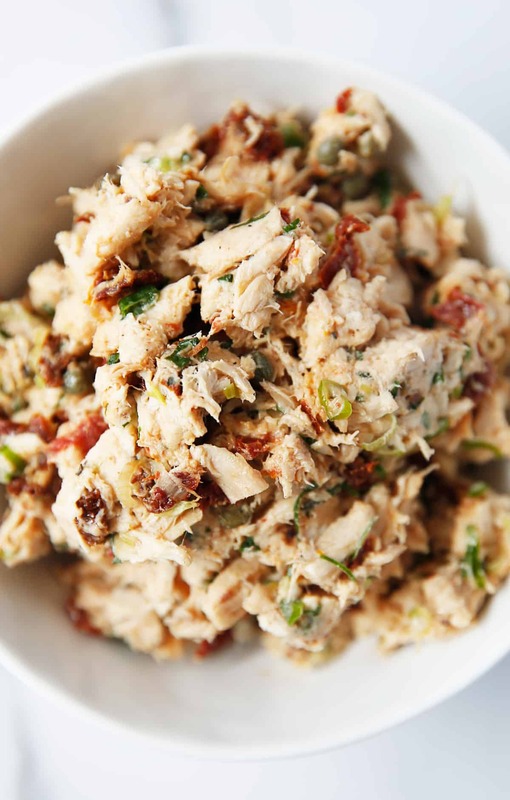 A fresh take on a classic lunch staple: tangy sun-dried tomato and capers with a light mayo based chicken salad! If it’s not broke, don’t fix it and chicken salad for meal prep is a recipe that sure isn’t broke. 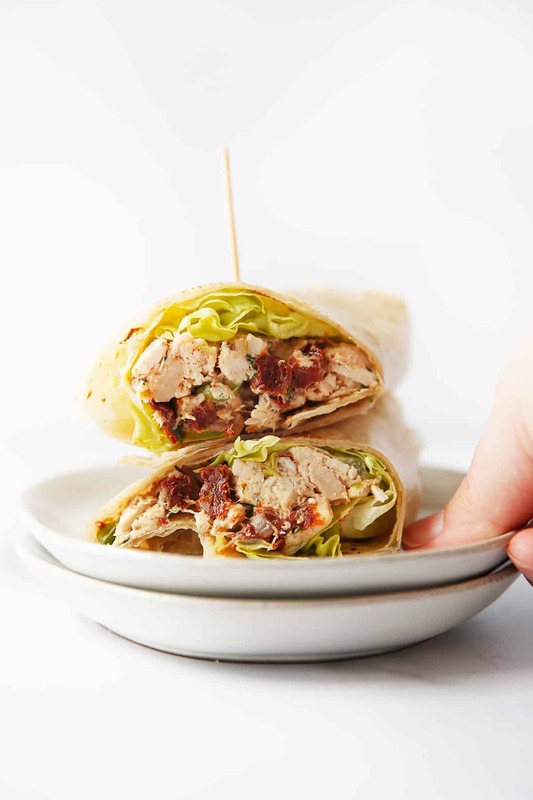 We’ve made it a few times here on LCK, but this time we’re making it with an Italian-esque makeover: a mayo based chicken salad with sun-dried tomatoes, capers, parsley and white wine vinegar. It’s salty, tangy and really delicious. As with all chicken salad, it’s easiest to use either leftover chicken or grab a rotisserie chicken. If doing it this way, this meal prep takes about 5 minutes! If you’re using a rotisserie chicken you can either double up on this recipe since it only calls for 2 cups of chicken, or use the remainder of the chicken for a dish such as Buffalo Chicken Dip, Loaded Paleo Nachos, or Chicken Soup. If you want to make the chicken fresh, you can make shredded chicken in the Instant Pot or slow cooker! Make it classic with a sandwich! Add baby spinach and avocado if you’re feeling fancy. Wrap it up! 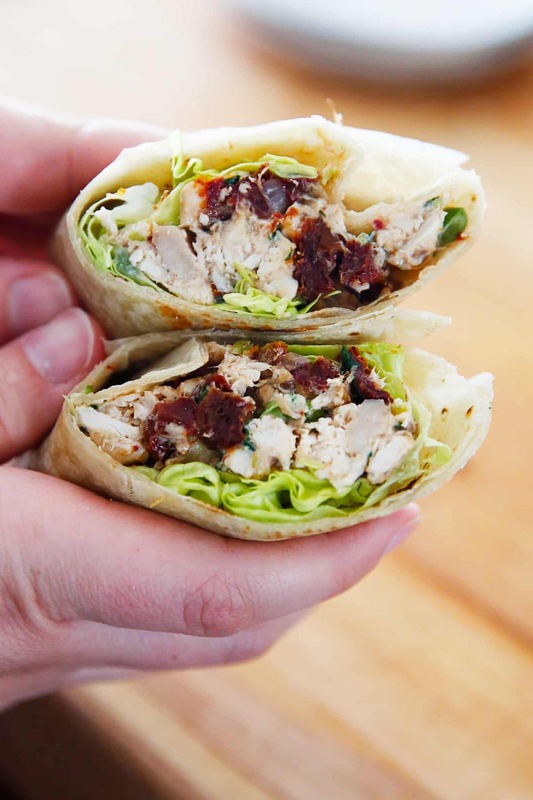 There are luckily now a lot of gluten-free wraps, or you could try using a gluten free tortilla, like Siete brands. Serve it over a bed of lettuce. Any lettuce would work here ranging from a classic romaine to a baby kale or spinach. Or wrap it up with lettuce! Check out our post all about making Lettuce Wraps. Put it in an avocado! This flavor combo will be pretty awesome. Serve it with crunchy crackers. There are lots of gluten-free brands, and also some seed based or cheese crackers for low carb. Stuff it in a scooped out cucumber. Scoop the seeds out of the cucumber and stuff in the chicken salad! We’d recommend a traditional cucumber here, which tend to be larger than the European or greenhouse cucumbers. Or just eat it! It’s that good. Homemade chicken salad stays good for 3 to 5 days in the refrigerator! Add all ingredients to a medium bowl. Stir to combine. Taste and adjust seasoning. Store in a container and use for up to 5 days.